~ Ideal for nostalgic discos, dance events ect. 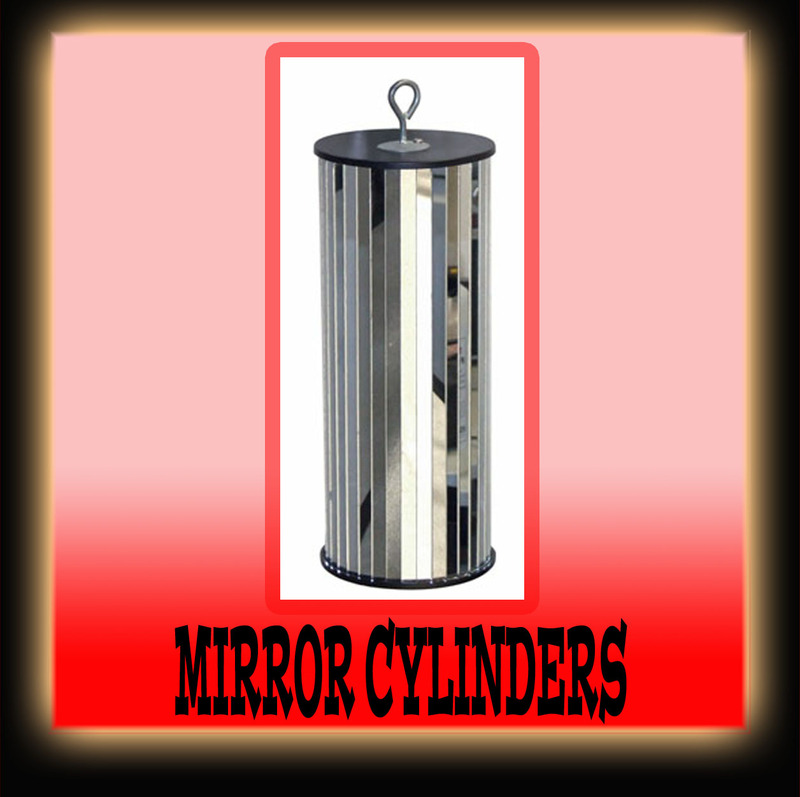 ~ The balls and cylinders require a narrow beam spotlight for the best effects. ~ Adding smoke or haze will produce an exciting effect in the air. The Aura brings a new dimension to the classic Mirror Ball effect. 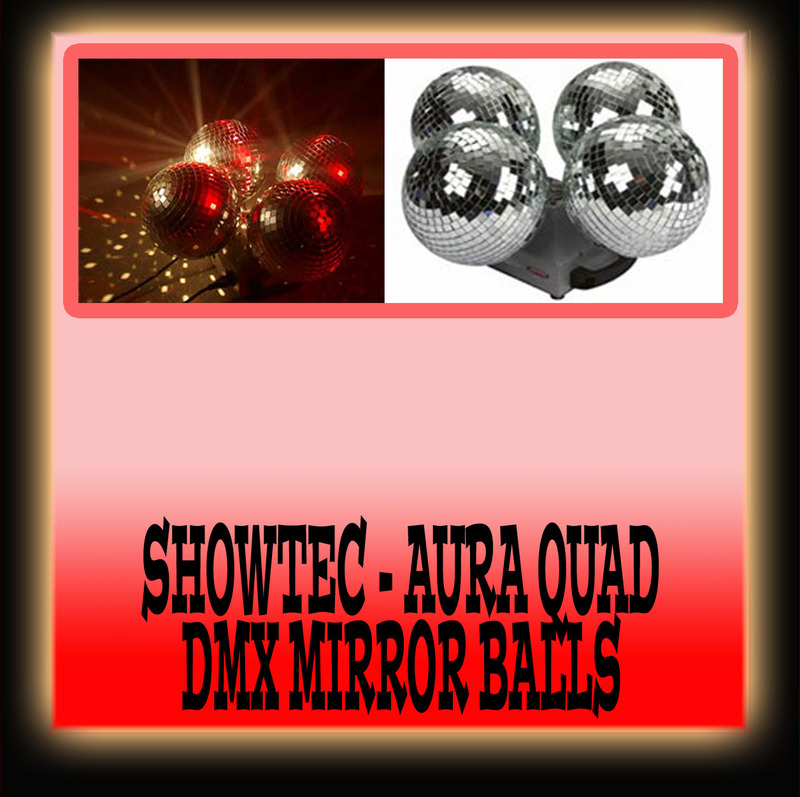 Fitted with four 25cm Mirror Balls the unit can be set to manual control or DMX control which gives control over each individual balls direction and speed, the unit can sit on a level surface or can be hung from above. 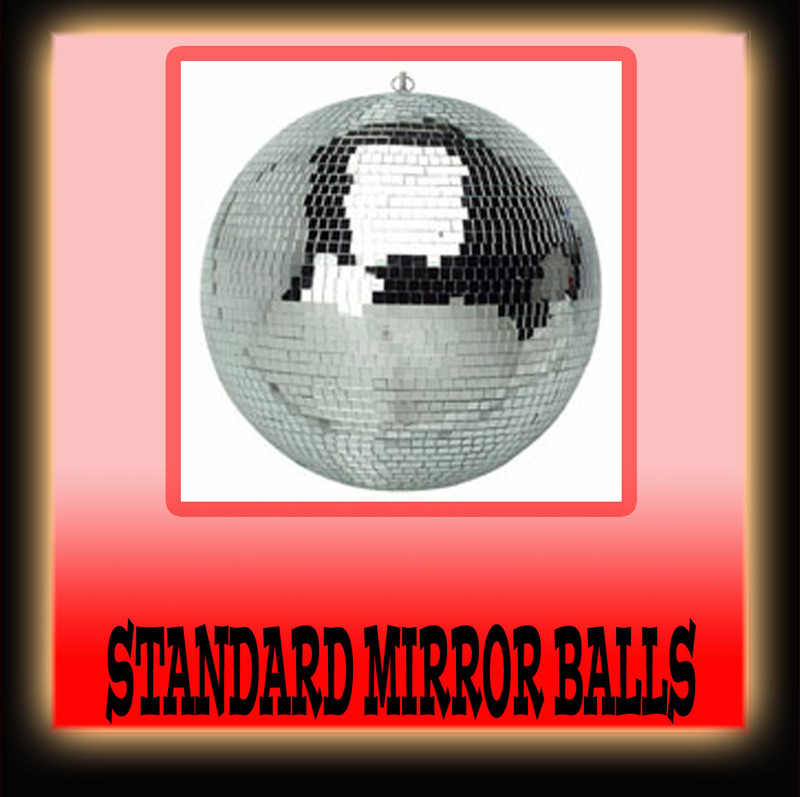 An interesting alternative to the mirror ball. When a light is projected on them the cylinders produce long strips of light. 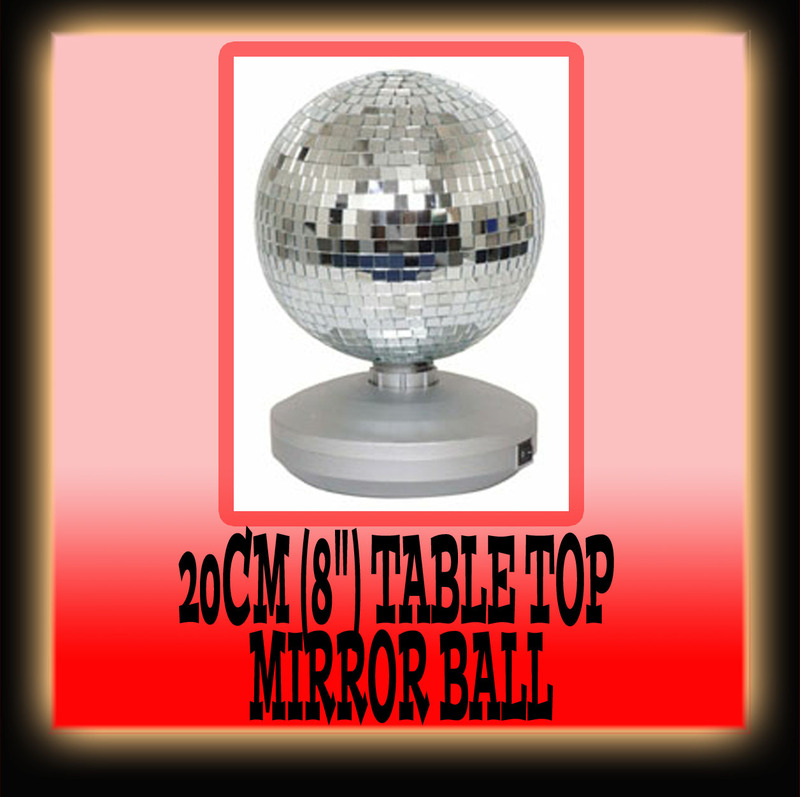 Can be used as a static effect or with our mirror ball rotators. 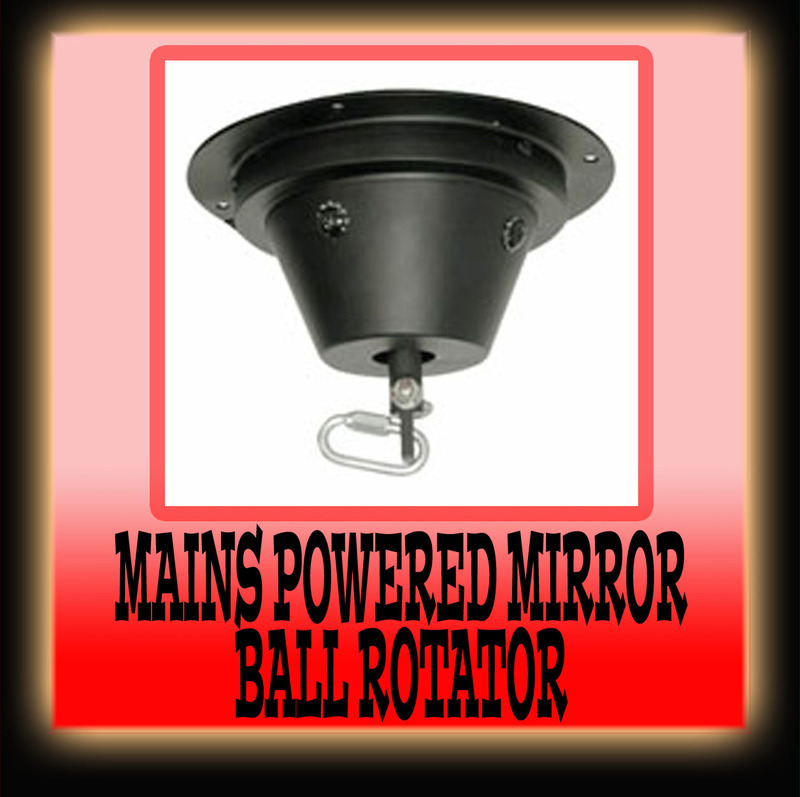 A light weight rotator designed for the 20cm (8") mirror ball, the rotator is fitted with a hanging hook to allow easy installation, powered by one D size battery. 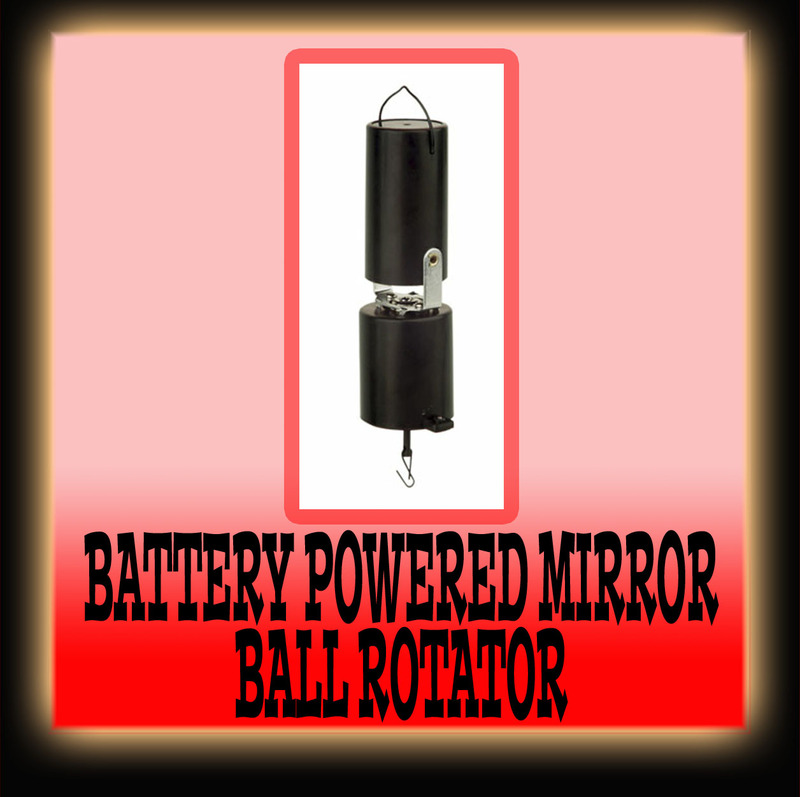 A range of heavy duty rotators designed for use with our range or Mirror balls & Cylinders, the rotators can be supplied with a fixing bolt & nut or can be fitted with various size hook clamps.